Fruit basket filled with shells imported to Milton area for use in button making process. 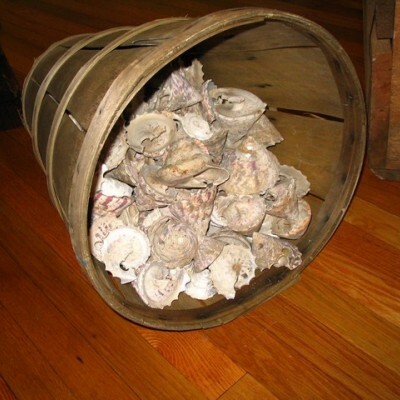 Basket and shells found in the barn on the Broadkill Rd. farm property when purchased by Mr. Burke.